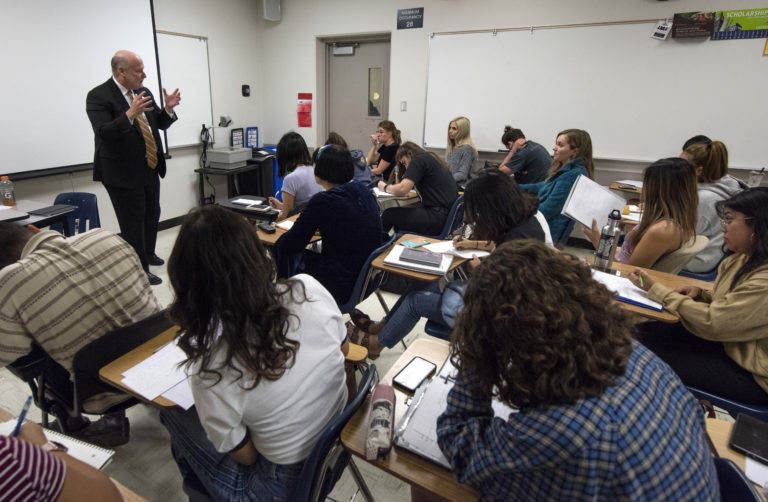 Chancellor Gillman spoke to Lecturer Amy DePaul’s “Reporting for Literary Journalism” class on October 16, 2018, about free speech. He said that universities are in the business of assessing ideas, and that it’s only through dissenting voices, divergent viewpoints, and free speech no matter the cost that knowledge evolves. What used to be institutions of indoctrination now promote critical thinking, he said, and students and faculty have a responsibility to evaluate the merits of ideas and explain why some are better than others – and why some have no validity at all. In a spirited Q&A, the chancellor answered questions on topics ranging from Twitter censorship to the cost of inviting controversial speakers to campus and the definition of hate speech. When asked if it’s possible to have a university where students can feel safe and where free speech is allowed, he responded that it is necessary that everyone be willing to hear and debate ideas that made them uncomfortable if they are going to understand and save the world.